Ferns make a lovely addition to gardens, and despite their delicate appearance, many varieties are hardy enough to tolerate both hot and cold conditions throughout the year. Knowing how to care properly for outdoor ferns during the winter months can keep them healthy throughout the year, whether kept in a pot or planted in a garden. Evergreen ferns are fantastic permanent additions to gardens, as they keep their greenery throughout the cooler months of the year. Evergreen ferns do not remain green year-round, though. They lose their leaves at the end of the winter months, allowing new leaves to grow in the spring. Maintenance of evergreen ferns is therefore fairly simple. Gardeners need simply prune back dying fronds at the end of the winter months to make room for new growth. One common type of evergreen fern is the Christmas Fern, which, despite its name, can tolerate heat and drought as well as cooler weather. The Christmas fern boasts a wide range, faring well in U.S. Department of Agriculture plant hardiness zones 3 through 9. Another favorite evergreen fern is Japanese Tassel Fern, a more delicate variety of fern with large glossy fronds. Its range includes USDA zones 5 through 9, making it more suitable for areas with cool but not frigid winters. Unlike evergreen ferns, deciduous ferns lose their leaves during the late fall and winter months, with new growth emerging in the spring. While it may be tempting to prune them back as soon as the prior growing season's leaves begin to die off, it is still better to wait until the late winter or early spring to begin pruning. Among the more common varieties of deciduous fern is the Royal Fern, a fern that favors moist conditions making it a perfect ornament for pond areas. This exceptionally hardy fern thrives in USDA zones 3 through 10. Another deciduous fern is the Japanese Painted Fern, which sports silvery-gray foliage that makes it a unique addition to gardens. Somewhat more delicate but still hardy enough to survive cooler areas, this fern thrives in USDA zones 3 through 8. 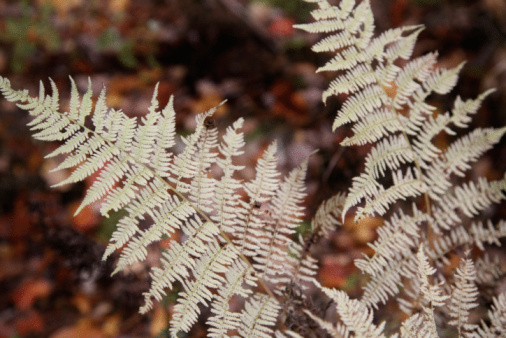 While many common varieties of fern can survive, and even thrive, in cooler weather conditions, some common varieties cannot. 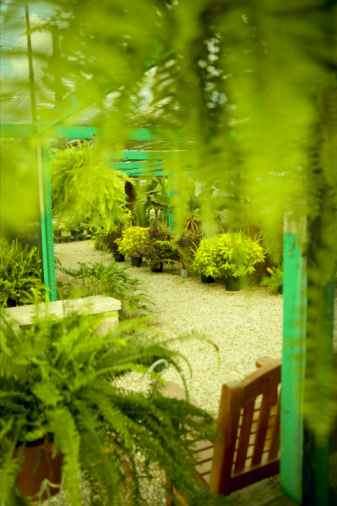 These include the Boston Fern, a USDA zones 9 through 11 plant that is unable to survive weather colder than 40 degrees Fahrenheit. It is best to move these plants indoors if possible and to prune back dying fronds over the winter. The root ball can be divided in the spring and replanted into new pots to grow throughout the warmer months of the year.